Nebraska football's seen a lot of teams enter through the Memorial Stadium doors and this Saturday Bethune-Cookman will be the next on the list to do so. "Every game is important," said senior Freedom Akinmoladun. "We need to take every team as if it's the best team in the conference." The Huskers are paying Bethune-Cookman $800,000 for the Wildcats to travel to Lincoln for its ninth game in 2018. 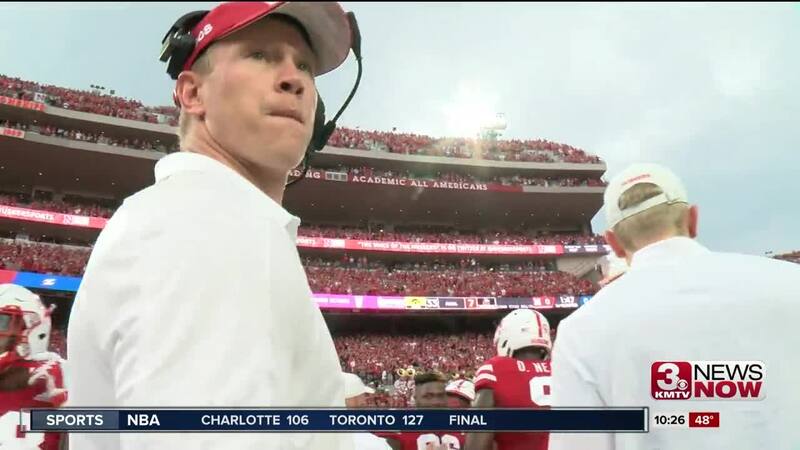 "I'm not sure if they would've turned it down, we're paying them quite a bit of money," said Head Coach Scott Frost. The school is located just outside of Orlando in Daytona Beach, Florida and the 1400-mile trip to Nebraska will be its longest in the last decade and a half. Bethune-Cookman is known for its marching band and the 325-member band is featured in the movie Drumline and has its own show on Netflix. With a campus of 4,000 students, Memorial Stadium's capacity will be nearly 25-times larger than the student body. On the gridiron, the Wildcats are 4-4 and winners of its conference four out of the last six years. Nebraska is only the third power-five school Bethune-Cookman's played in the last 12 years and it's the schools first-ever game against a Big Ten school. "The way it is being this deep in the season we're going to treat them like a Big Ten team," said senior offensive lineman Jerald Foster. "Again that's another football opponent so I'm ready for them," said junior linebacker Mohamed Barry. The Huskers and Wildcats kick off at 11 a.m. at Memorial Stadium.